Thanks to all who showed up to show their support of CORBA! 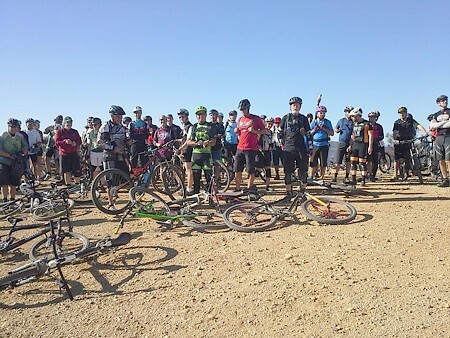 GGR Holiday Fun Ride & January 2014 Events! Ride And Mingle Prizes Announced! As we say goodbye to 2013 and look forward to another year of trail advocacy, I can’t help but reflect on the last year. To me the most significant thing was the loss of our dear friend Danusia Bennett-Taber. I am reminded of her almost daily, whether it’s with her involvement with the CORBA board of directors, or the Mountain Bike Unit, or simply riding on one of our local trails that she so enjoyed. Girlz Gone Riding keeps her memory alive with the first annual Danusia Memorial Ride on May 31. Danusia leaves a legacy of trail stewardship and volunteerism that is unmatched. 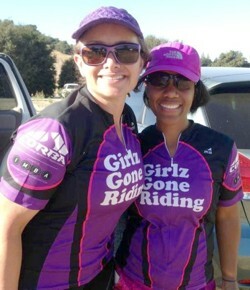 Speaking of Girlz Gone Riding, the group had its most successful year ever with great turnouts for their rides and the annual Rocktober XC Gala. We have to give them a big Thank You for helping raise funds and awareness for CORBA and its programs. CORBA’s programs achieved much success in 2013. Our Trail Crew was extra busy with extensive work in fire-damaged Point Mugu State Park, helping to reestablish damaged trails and do much needed repair work to Guadalasca Trail. 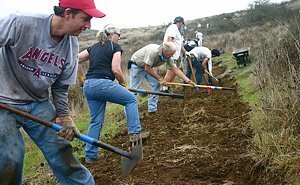 Cooperative work with groups throughout greater Los Angeles county, Pasadena, and Thousand Oaks (to name a few) ensure that the public trails remain in shape for shared use. Our Youth Adventures and Kids Club programs were a little lean this year, yet we still had many outings with kids enjoying the outdoors on mountain bikes. We are in need of more adult coorinators for our Kids Club outings, so if you are interested in leading groups of adults and kids once a month, please send an email to me at info@corbamtb.com. 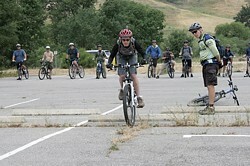 Our free Introduction to Mountain Bike Skills Class was once again a tremendous success, with more than 300 participants–and that was only 11 classes since December was rained out. Remember, it’s always on the first Saturday of the month at Malibu Creek State Park in Calabasas, and it’s always free! As an advocacy group, we assisted the Santa Clarita Valley Trail Users in regaining access to the Canyon Trail in Placerita Canyon after Los Angeles County Parks and Recreation closed the trail in late 2012. CORBA continues to monitor and give input to a variety of public open space policy projects that threaten to exclude bicycles. One of the most exciting prospects for the coming year is the emergence of several pump tracks and bike parks that CORBA is consulting on and helping to move forward. The City of Thousand Oaks, Los Angeles county, and the City of Fillmore have enlisted our expertise for installing pump tracks, and we have been working with the County of Ventura and a newly formed bicycle organization in the Heritage Valley (Fillmore, Santa Paula, Piru) to develop a bike park with flow trails, jumps, and a pump track at Toland Park. This 212 acre parcel could very well become a regional destination for off-road bicycle activities. Being inducted into the Mountain Bike Hall of Fame this year was both an affirmation and a call to action. Even though it’s hard to believe CORBA has been doing this for more than 26 years, it’s also astounding that there is still more to do! We will continue to push for more access to trails, since as we’ve said time and again, the more you disperse users, the less conflicts there will be! As always, CORBA will promote the concept of “slow is the solution”: Simply slow down around others as you pass, and you solve the issue of people disliking bikes going too fast around them. 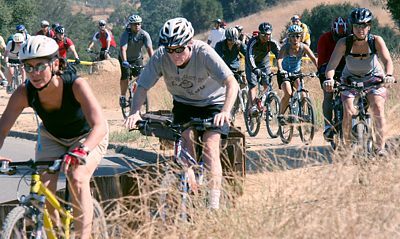 Upcoming Rides: Starting this month, more North Ranch Mountain Biker rides will be listed on the CORBA Meetup group, not just the beginner to easy intermediate ones. As such, there are too many to list them all individually here. Visit our Meetup Calendar to see all the rides and other activities! On January 4th, kicks off a new, fun, beginner friendly cross country race series called: http://www.racepedalfest.com/. 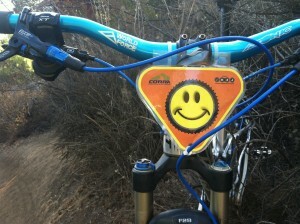 This is a fun, non techy course good for all levels of riders including kids! Want to see if racing is in your future? Give it a try! THIS is the course to have your 1st racing adventure on! GGR will be interviewing all female racers on that day at the GGR/CORBA booth! A very special announcement! We have the date already booked for the 2014 GGR Rocktober Gala! October 19th at MCSP! The 1st to sign on the same day as our last event was of course LIV/GIANT! 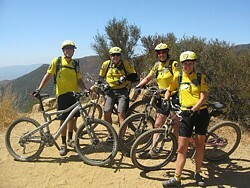 Liv/Giant introduced their entire line of women’s 27.5 bikes at our last event and they were a HUGE hit! To view the December wrap-up and see the photos, visit Wendy's full blog article. Saturday January 4th is the next skills clinic.